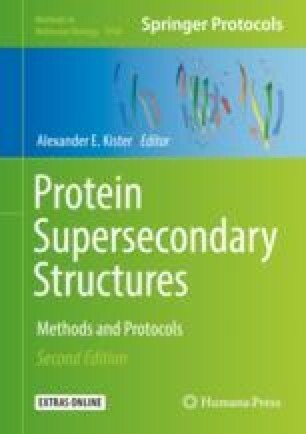 Secondary structure elements (SSEs) are inherent parts of protein structures, and their arrangement is characteristic for each protein family. Therefore, annotation of SSEs can facilitate orientation in the vast number of homologous structures which is now available for many protein families. It also provides a way to identify and annotate the key regions, like active sites and channels, and subsequently answer the key research questions, such as understanding of molecular function and its variability. This chapter introduces the concept of SSE annotation and describes the workflow for obtaining SSE annotation for the members of a selected protein family using program SecStrAnnotator. This work was supported by ELIXIR CZ research infrastructure project (MEYS) [LM2015047 to A.M., I.H.V., J.H., K.B., and R.S.V. ]; Ministry of Education, Youth and Sports of the Czech Republic under the project CEITEC 2020 [LQ1601 to A.M., R.S.V., and J.K.]; ELIXIR-EXCELERATE project, which received funding from the European Union’s Horizon 2020 research and innovation program ; ELIXIR-CZ: Budování kapacit [CZ.02.1.01/0.0/0.0/16_013/0001777]; Ministry of Education, Youth and Sports of the Czech Republic [project CZ.02.1.01/0.0/0.0/16_019/0000754 to V.N. and K.B. ]; and Palacky University Olomouc [IGA_PrF_2018_032 to V.N.]. A.M. is a “Brno Ph.D. Talent” scholarship holder funded by Brno City Municipality.